Hasbro has opened a new office in Moscow, Russia, with the hopes of gaining a foothold on the Eastern European toy market. “The firm has opened a Moscow office in order to improve brand awareness and distribution in its fastest-growing market in Eastern Europe. 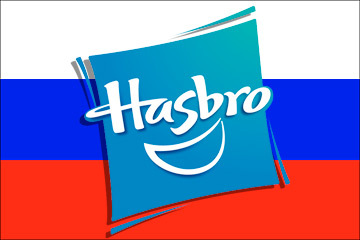 “Russia is the most attractive market for us… definitely we are coming here to increase our market share,” Tomasz Micek, Hasbro’s Russian head, said. It estimates it has a three percent share of Russia’s $1.5 billion toy market where it currently sells toys via two distributors. It has run 12 television commercials this spring in Russia and plans another 20 by the end of the year, according to Micek. Besides television, the company also plans to push magazine and Internet promotions. Well, that explains the multiple Colossus figures being released. Good luck to Hasbro, though. If successful, that's another revenue stream for Hasbro to draw on, which means more toys all around. 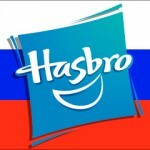 In Russia Hasbro toys play with you!